I'm so happy you're here to celebrate Medical Monday with us! Well, because of the crazy in our lives, my awesome MM partner, Jane at From A Doctor's Wife and I have decided to suspend our monthly Medical Monday link up for the summer. Why? If your summer calendar looks like mine, summer looks like anything but a vacation. We have freshman orientations, sport practices, travel tournaments, summer classes, workshops, kids' jobs, school trips, and while myself and Doc H don't have any major trips planned for ourselves, we have two kids flying internationally, and two others who will be vacationing separately. It's going to be a jammed packed schedule with no regularity. Let's have a great link up this month and be sure to mark you calendar for Monday, September 1st when we'll be back up and running! Now, all this doesn't mean Your Doctor's Wife is taking a summer blogging vacation. I'll still be blogging as a way to procrastinate from real life. So, don't count me down and out this summer! In the meantime, have any of you watched Royal Pains on Netflix? I just watched the pilot episode which outlines the premise of the series. Young ER doc's medical career is ruined on his day off. He finds himself in the Hamptons where he unknowingly steps into the role of concierge doctor to those who show their thanks with bars of gold. I'm thinking of watching the next episode. If you've been watching the series, tell me if it gets your thumbs up or thumbs down! Now on with the party! Let's make it a good one-- after all, it is Cinco de Mayo! Cyber-margaritas for everyone!!! Olé!! Have a great summer, and happy Cinco de Mayo! Now I want a margarita! Royal Pains is a guilty pleasure show. Not the greatest acting and its rather melodramatic, but I still follow the series when I'm looking for something on netflix. Thanks for linking up with us again, Chrissie! I hope you'll make it back in September! I'll still be blogging when I can fit it in! :) Have a great summer! same here on the whole hiatus thing!! it's been a MONTH since i've even been on here... hope you have a fabulous summer!! I am so jaded about medical tv shows at this point that I often avoid them to avoid the rage I get when watching them and yet I can't help but check them out, if nothing else to mock (but partly in hopes of finding one I can relate to). I'll have to check Royal Pains out. Oh, don't expect to be able to relate!! This is pure fiction!!! Thanks for doing this MM this month! Always fun! Sounds like you're going to be so busy this summer - I'll keep caught up here and on Twitter! Hehehe! I'll still be blogging!! Thanks for everything! I spent a summer in the hamptons as a nanny so I had a special affinity to that show. It's not as crazy and actually more beautiful than it seems in the program. Man I wish I was heading back there this summer again-but alas we are moving again since fellowship is over yay! Have a very happy and long summer :) I am so bummed you guys won't be doing MM. What else am I going to look forward to lol? I would guest co-host over the summer if you guys want? I spend far too much time on the internet for my own good. No prob if not I will just see you guys officially again in the fall. Addison Wolfe never wanted to be a physician. He wants to be an astronaut. NASA turned down his application, forcing him to seek employment as a doctor. The problem with obtaining a physician's license is the need to complete an internship to acquire one. Wolfe finds himself in an undesirable rotating internship in a very busy public hospital. Inexplicably, the Director of Medical Education seems to have developed an instantaneous dislike of him and the remainder of the internship class. Another mystery is why an attractive female physician expresses a romantic interest in him on the first day of internship. The patient was a massively obese woman who complained of a headache. The intern knew only that she was complaining of a headache and had requested aspirin. Extremely busy, and assuming the nurse would let him know if it were not a good idea to give the patient aspirin, he quickly flipped to the order page and signed the order that had been written by the nurse. Figueroa asked the intern if he had talked with the patient. No. Had he examined the patient? No. Had he even skimmed the chart? He had not. He asked if he knew what allergies the patient had. The intern did not know. At the time he approved the order for aspirin, did he realize the patient was on warfarin, another clotting inhibitor? No. Did he know that aspirin also inhibited platelets and clot formation? Yes. Did he know the patient had a history of blood clots? No. Did he suppose that a blood clot in someone's brain, or a ruptured berry aneurysm in the same area might cause headaches? Yes, he knew that. The autopsy pictures revealed stenosed carotid arteries, two small clots in the patient's brain, and massive bleeding from a ruptured berry aneurysm. 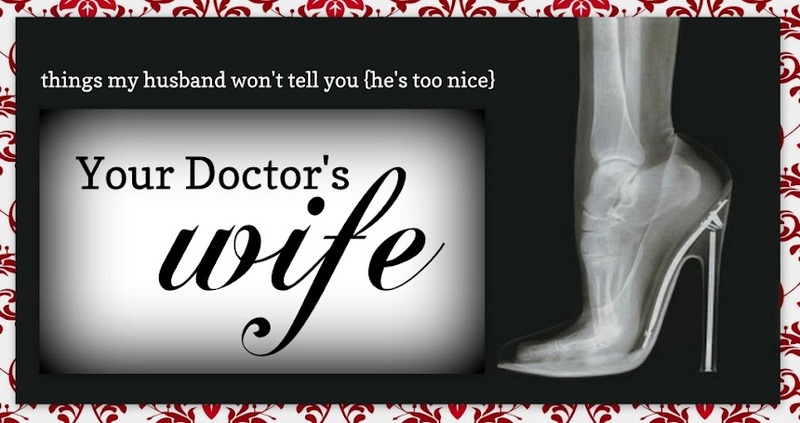 Please email me at yourdoctorswife@gmail.com to discuss. Thank you!